On the March CTV App Segment I featured the Duolingo app but I wanted to feature it again because this is the best app I have ever used. Best. App. Ever. Period. Bold statement, but keep on reading to hear why! 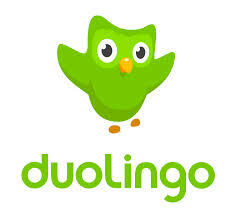 Duolingo is a completely free app for iPhone or Android that teaches you Spanish, French, Italian, German or Portuguese. When I reviewed the app I had been using it for about a week and had read a bunch of great reviews about it. I have now been using it consistently about 5 times a week since I downloaded it. In approximately 9 weeks I have completed 21 language lessons (with each lessons containing 1-6 levels). What solidified my love and loyalty for this app was when I went to Mexico in the middle of April I could actually understand some of what I heard and read! I thought “This app is amazing!! !” I actually shouted out loud to our driver “Does that sign say “Wearing your seat belt is the law”?! and when he confirmed that my translation was correct I felt a proud glow for the whole day! I hope that when I visit Mexico at the end of this year that I am actually able to have a conversation! So what really makes the app successful for me is the well thought out flow through the app. Each lesson focuses on a topic: “colours”, “household”, “phrases”, “clothing”, and progresses into more advanced topics as you go through the app. Once you enter a lesson there will be 1-6 levels in each lesson. Each level within a lesson progresses and builds on past levels and lessons throughout the app. Once you are in a level there are around 20 questions that are either: translate spanish to english, english to spanish, or repeat a sentence in spanish. Depending on the difficulty, the question may give you hints about the words or the translation. You have 3 “hearts” which represent your “life” in each level. If you answer a question incorrecetly your heart is taken away until you have none left and you have to start the level again. Sometimes I get frustrated when I have to start a level again but then I think that if I repeat it and ace it this time my, skills will only be strengthened (so mature of me!). As you pass lessons you earn “lingots” which allow you to buy things in the Duolingo store. I saved up my Lingots and purchased an additional fun level which taught me about slang phrase like “Let bygones be bygones!”, and I also purchased a new tracksuit for my Duolingo owl!! The owl is your “coach” in the app and congratulates you when you pass levels and looks sad when you fail a level (I hate to see him cry!). My owl now wears a fancy suit with a monocle that I purchased with my lingots! So much classier! My owl coach also emails and sends push notifications to encourage me. If I have been doing really well and keeping up with my lessons everyday he will email me and say “You’re heating up! You are on a 4 days streak. Use Duolingo today to make it 5.”. Normally I would find these types of reminder notifications and emails irritating but for some reason it really does motivate me. Sometimes the owl will even say “Learning a language takes practice every day, keep up with it!” Of course you can turn these reminder off if you like, but I have chosen to keep them on to motivate me to stick with it. I updated my app last week and noticed the User interface was refreshed and they had added some new features as well. One of the features I have yet to discover is the “Practice” feature where you can “Play a Human”, “Play a bot”, or “By Yourself”. This is a nice little feature that gives you extra practice! 1. Repeat everything aloud in Spanish/language you are learning. This has really helped me to excel with the app because every time I see anything in Spanish I say it aloud. This is especially important because some of the letters in Spanish make different sounds than they do in English. For example the letter “j” is often pronounced quite differently in Spanish than it is in english. Practice makes perfect! When a question gives you a phrase to translate in Spanish make sure you do it in your head first before looking at the english words. This gives my brain a better workout I find, and helps me to recall the Spanish words faster. To obtain 20 points a day you need to pass 2 levels. 2 levels takes around 10 minutes to complete (depending on if you have to repeat a level or not =). It really does help if you use the app everyday. As I said before I usually use it 5 times a week. If I do have a break where I don’t use the app I do find I am a bit rustier and I have a harder time recalling words and phrases. For me what has worked is using the app every day at lunch time. I usually eat my lunch and then after lunch use the app and pass as many levels as I can in that timeframe. One of the things that frustrated me at the start of learning Spanish is that everything is masculine or feminine. As an english speaking person this greatly confused me. Also my linear brain didn’t like this “But a dress is (traditionally) for a girl. So WHY is it a masculine word? !” Also possessions confused me and I would often fail levels because I just couldn’t seem to sort out the different wording when you did something, I did something, he did something, She did something, etc. Using the app over time naturally sorted these confusions out for me. By practicing things over and over things just started to stick! If you have every wanted to learn a language I strongly encourage you to try this app. This app is not only extremely useful but it very fun! Just the other day I was putting away things in my fridge and realized I was thinking the words in my head in spanish “La naranja, la manazana, el queso, etc. etc.”! I for one am going to keep up with it so when I visit the land of sun and sand in the the fall I can speak confidently in Spanish!